Apollo Junction have released a video for their single Born For Now! Drawing comparisons to The Killers and Biffy Clyro, the track is dance meets indie. It's already had radio spins from the likes of Janice Long on BBC Radio 2, where the presenter has made it her 'Janice loves..' track numerous times. Plus, having been featured in The Mirror and performing a gig at London's 229 Venue recently, we reckon the band have had a pretty good end to 2015! 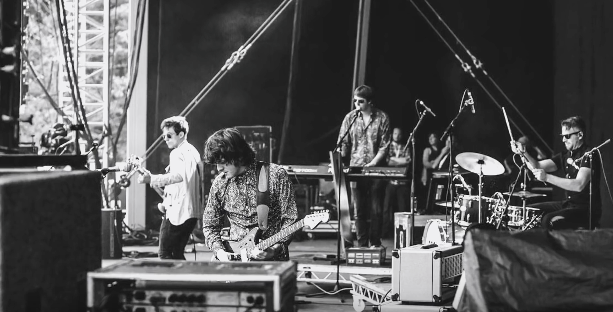 Check out the video for Born For Now below, which is a montage of black and white shots and videos of what was clearly a great summer for the five-piece! Born For Now is due out early next year.